Make full use of easy Edraw genogram software for Mac, Windows and Linux with complete and professional symbols and templates. Edraw Genogram software makes it convenient to build simple and complex genograms easily and quickly. 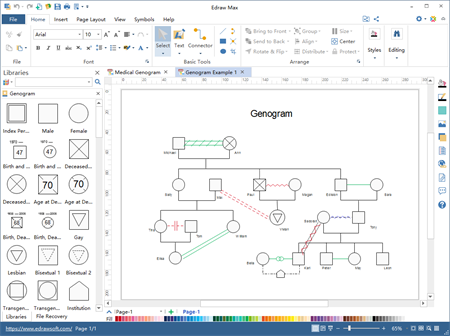 Launch Edraw genogram software and the Genogram symbols library appears on the left of the interface. 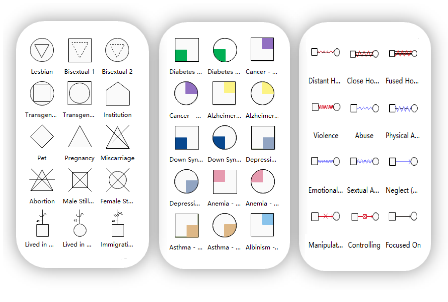 Make full use of these symbols to display basic familial information, family relationships, emotional status and medical situation of all individuals in a genogram. All symbols are vector-based and are customizable to meet personalized demands. Beginners can start with one of the included genogram examples and templates. For example, the one on the right already has a complete medical genogram started for you with your genetic family: grandparents, parents and son. Add other family members and display their information using the genogram symbol library provided. 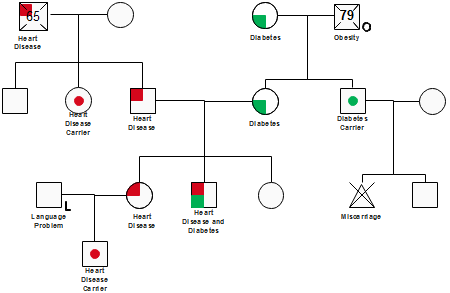 Change the texts, background, colors and layout to make personalized genogram. 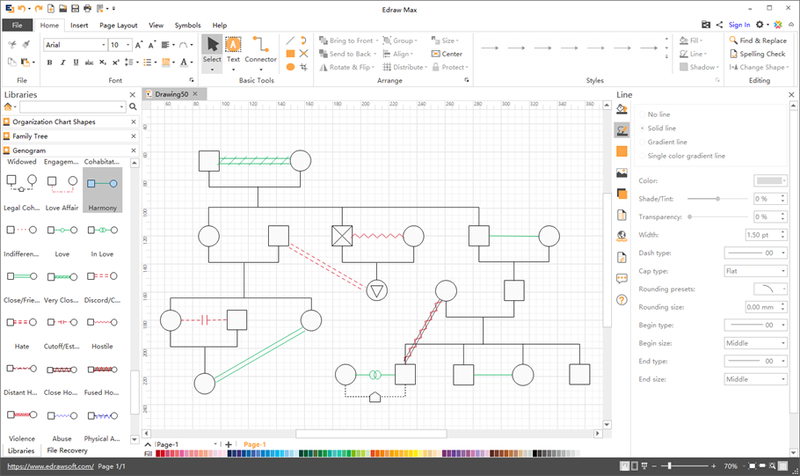 Edraw genogram software is compatible with Mac, Windows and Linux. You are able to finish your creation anywhere with any devices. This software has a versatile and easy-to-use UI which is similar to that of MS Office applications. You can find corresponding functions in Home, Insert, Page Layout, Symbols and Help tabs and output high-quality genograms. 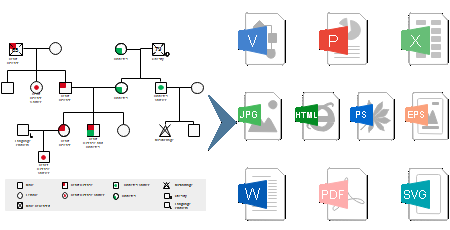 Once you have finished the genogram with Edraw genogram software, you can conveniently save or export it into various commonly-used file formats flawlessly, such as .png, .jpg, .html, .svg, .pdf, .word, .ppt, etc. Users even can edit in PPT, Excel, Word applications. Sharing and publicizing genograms has never been easier! All the organizational chart types below have special symbols and templates in our organizational chart maker. Choose the exact template to start your design. You Will Love This Cross-Platform Genogram Software! Enjoy creating genograms on multi-platforms with this user-friendly software. You'll be surprised by its abundant design elements and templates, amazed on how easy it works, and satisfied with the high-quality service and cost-effective price. Try it now!